Shipping: Over sized part for FED Ex and UPS therefore shipping is costly. If you have an older model YXZ see P/N: 13190. 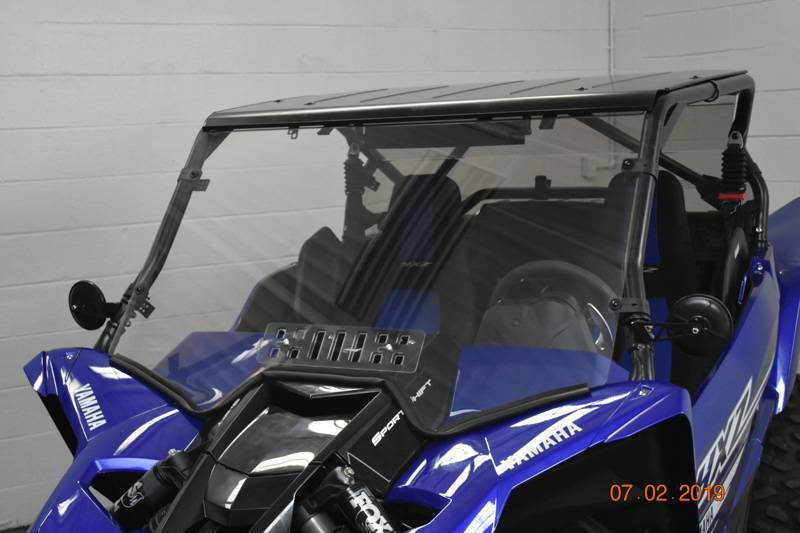 We also offer Laminated Safety Glass windshields see P/N: 13749. If you need a cab-back/dust-stopper see P/N: 13751 and if you need an Aluminum top see P/N: 13752. Made from 3/16" Thick Hard Coated Polycarbonate (both sides). Slide vent allows for some airflow. 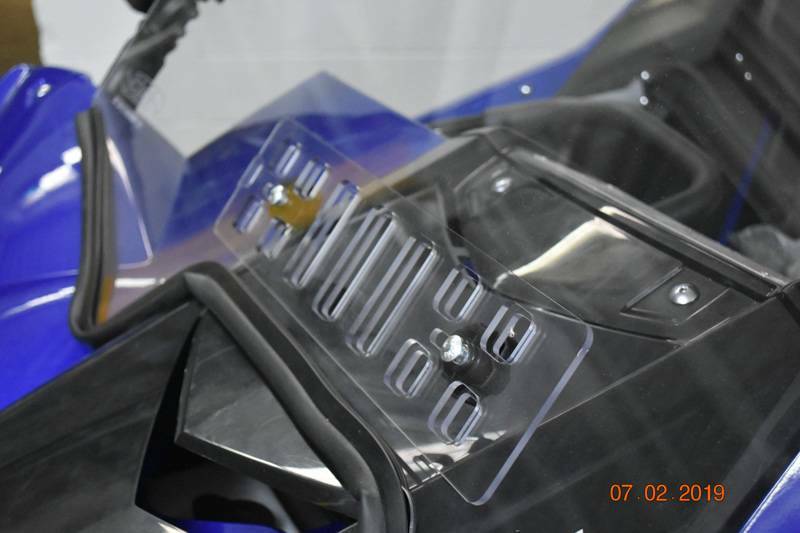 Designed to be used with the factory top or the EMP(R) Aluminum top P/N: 13752. Protects the driver and passenger from rain, snow and wind. The hard coating is on both sides (if it were not hard coated the price would be about half and you would not be happy after a couple months). Polycarbonate is virtually un-breakable under normal use. The Fast Straps allows for quick tool-less removal. 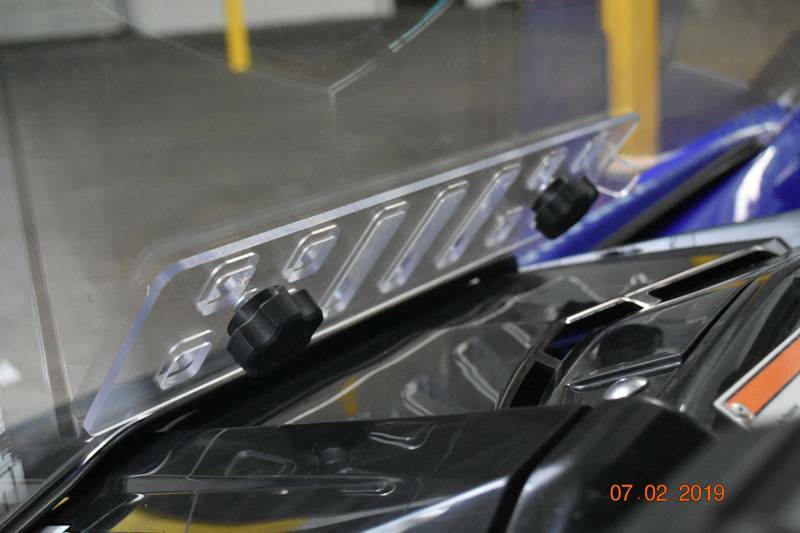 Click here to see our Electric Wiper/Washer option. Shipping Remarks: Over sized part for FED Ex and UPS therefore shipping is costly.